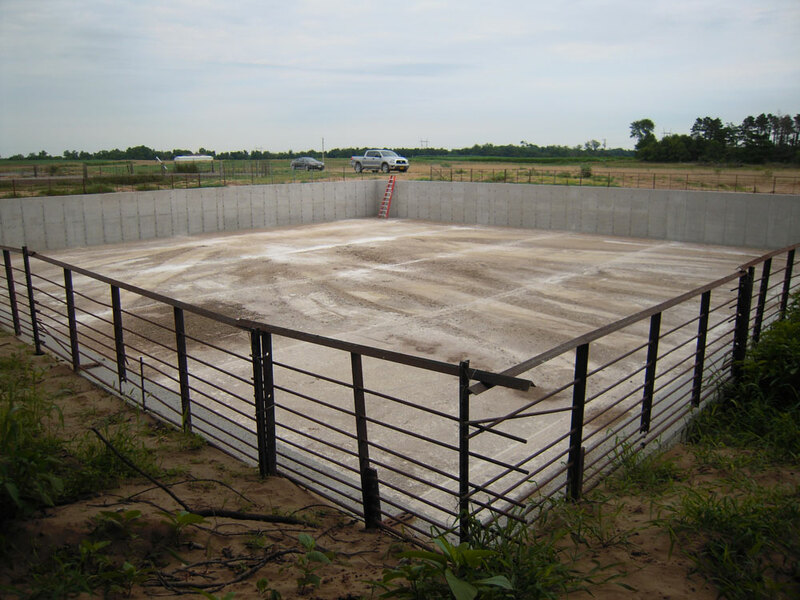 Concrete Manure Storage Tank — LT Leon Associates Inc.
A hog confinement operation in Muscatine County obtained and EQIP contract through the NRCS to build a new manure storage facility. The project goals were to help improve manure management and the efficiency of the farm operation and to replace an old, failing tank. LT Leon served as Technical Service Provider and Engineer to help the Farmer through the NRCS process and design, layout, and checkout of the 100'x100'x8' concrete manure storage tank.